Athens may well not repay its ECB debt by July. But things would only get really nasty – via capital controls and bust Greek banks – if member states deem this a hard default. 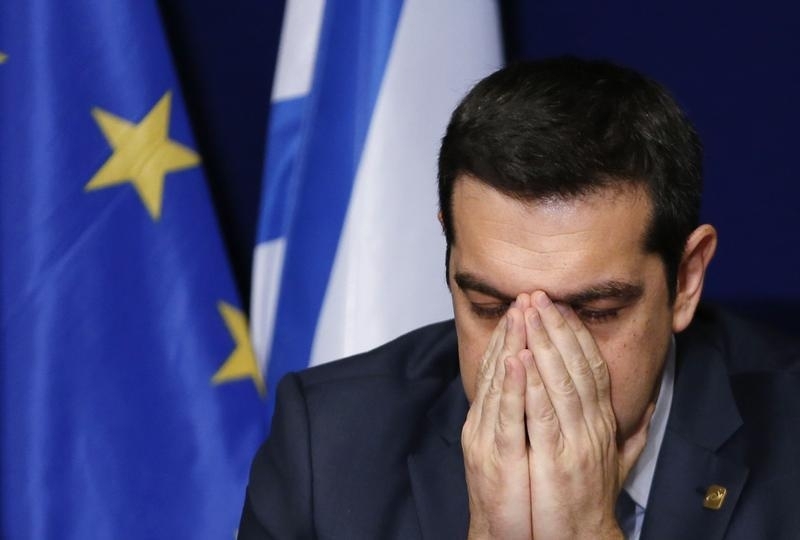 If they choose to, Greek leader Alexis Tsipras could blame them – and lead his country out of the euro. The European Central Bank raised emergency funding to Greek banks to 75.5 billion euros, a banking source told Reuters on April 22. The central bank has been raising emergency liquidity in increments, keeping pressure on Athens to agree a deal with creditors. Greece needs to agree a deal with other euro zone governments to release funds on its second bailout. Its largest debt maturities this year are 3.6 billion euros of bonds due July 20, and 3.2 billion euros on Aug. 20, both held by the European Central Bank. A default on the ECB bonds would not trigger a default on other private Greek bonds, unless euro zone lenders choose to accelerate bailout loans, according to Credit Suisse. Greek 10-year bond yields reached 12.7 percent as of 1515 GMT, according to Thomson Reuters Eikon on April 22.